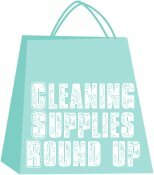 Each week Just Trying To Save Money will check each store and give you a complete list of the best cleaning supply deals. Here are this weeks deals! If you have a store that you would like me to add to my list, please email me!